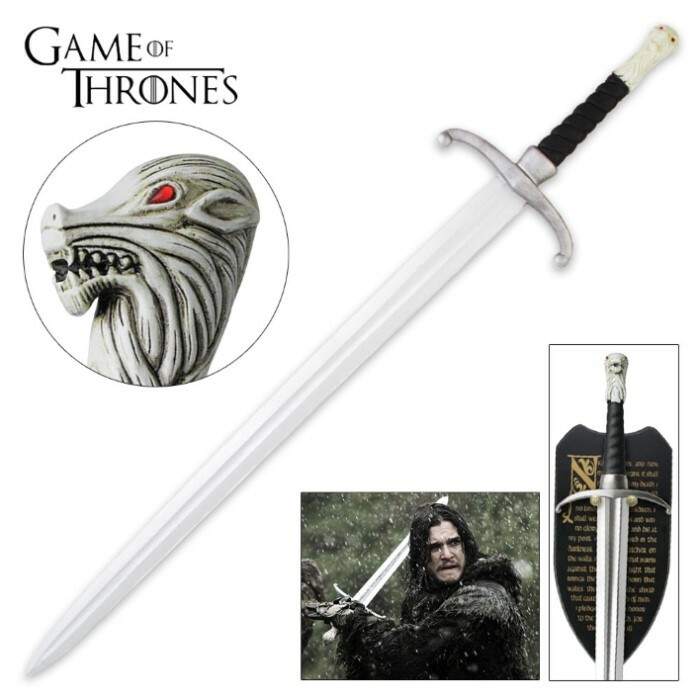 This officially licensed replica from HBO's hit series Game of Thrones is a must have for any fan of the series. 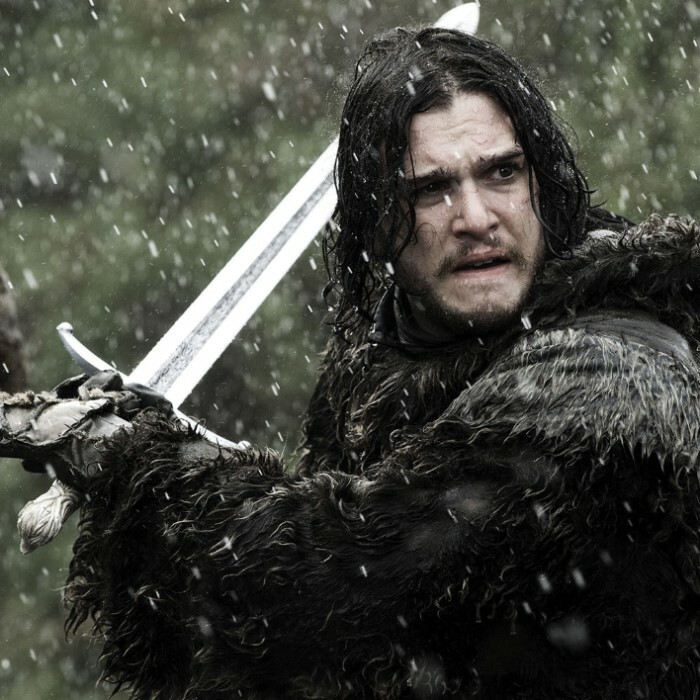 This replica Longclaw Sword of Jon Snow offers a 35" real stainless steel blade and an antiqued metal wolf's head pommel. This isn't some "looks sort of like it" knock off sword, this is an officially licensed replica that was cast from the actual filming prop used to film this infamous T.V. series. 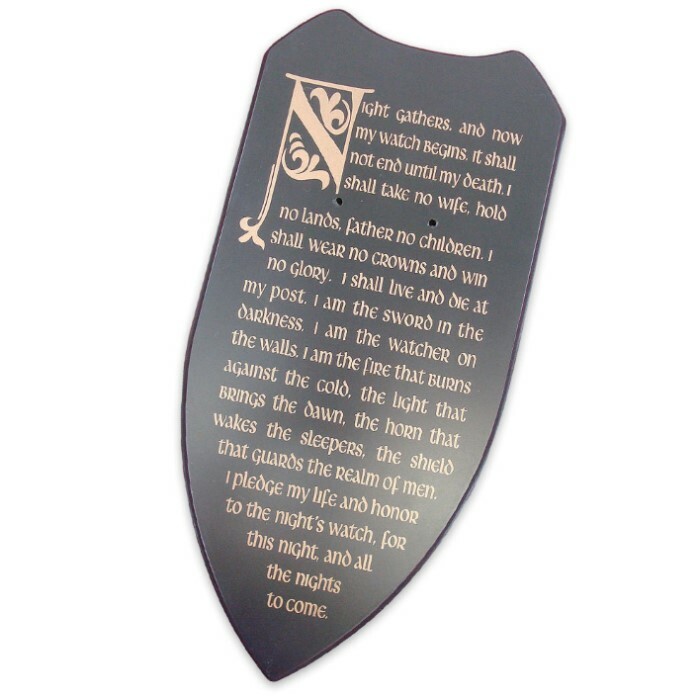 This sword includes a silkscreened wooden display plaque and a certificate of authenticity. Measures 45" in overall length.